SUSAN BATES-Silvalume Circular Knitting Needles. Perfect for all your knitting needs. 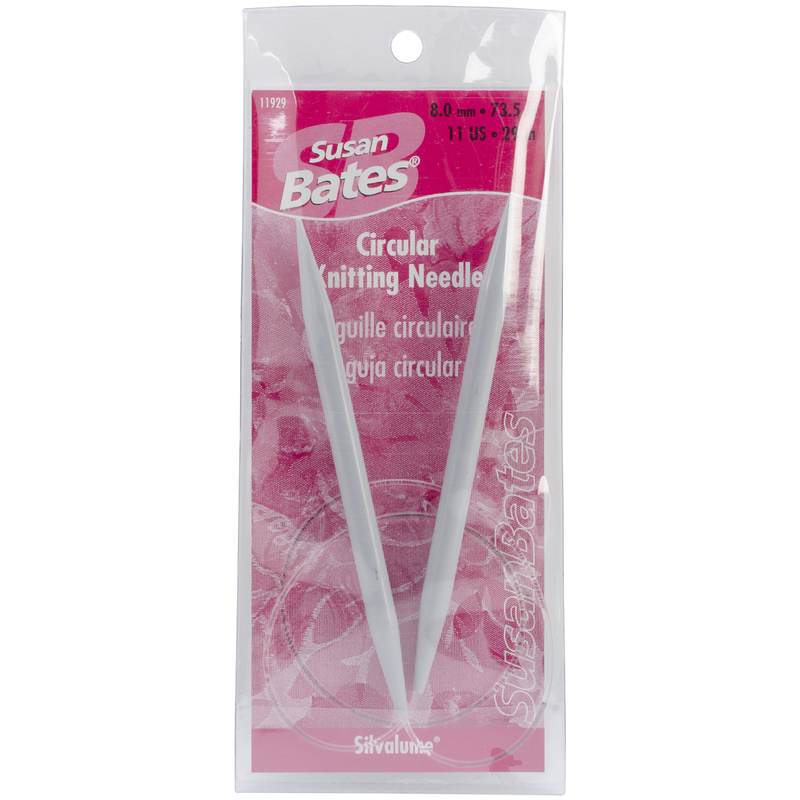 These knitting needles offer the broadest range within the Susan Bates label. Size zero to ten and a half Silvalume needles feature anodized aluminum shafts which are dyed to pastel colors. To minimize weight and enhance stitching comfort, sizes eleven and up have plastic shafts. This package contains one twenty-nine inch circular knitting needle (needles are size one). Cable is clear plastic. Measurement is tip to tip: two needles plus cable. Imported.